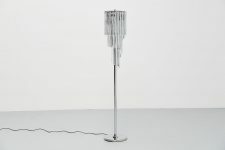 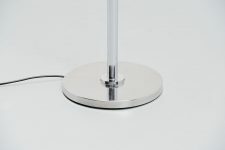 Super rare floor lamp designed by Paolo Venini for Venini, Italy 1960. 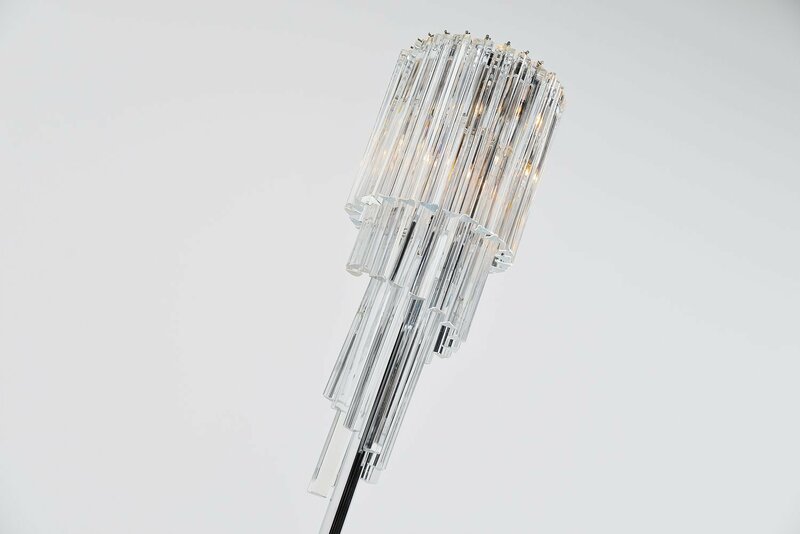 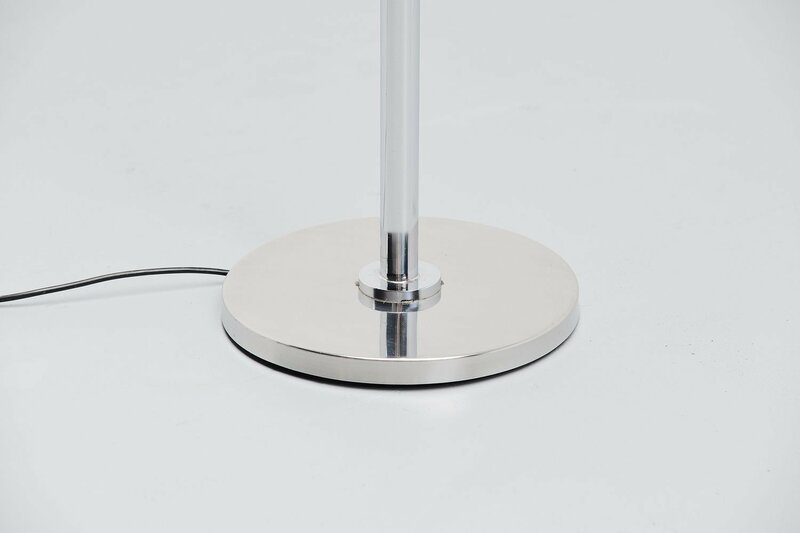 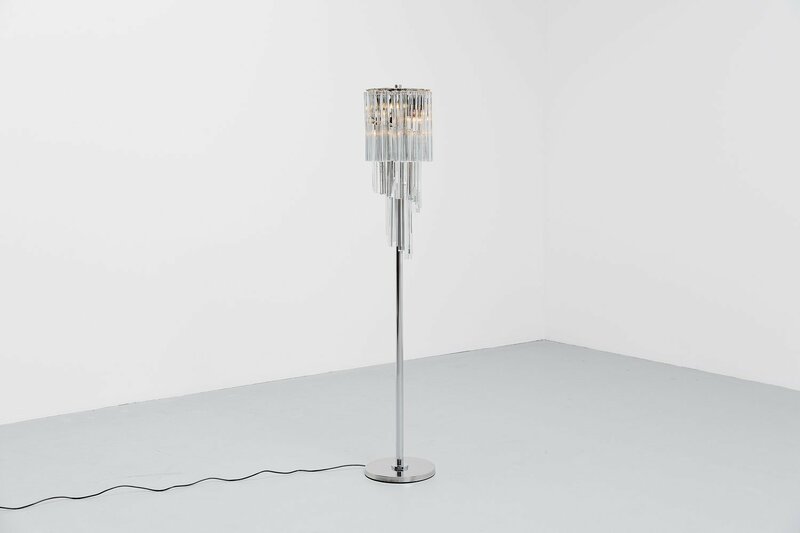 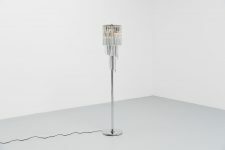 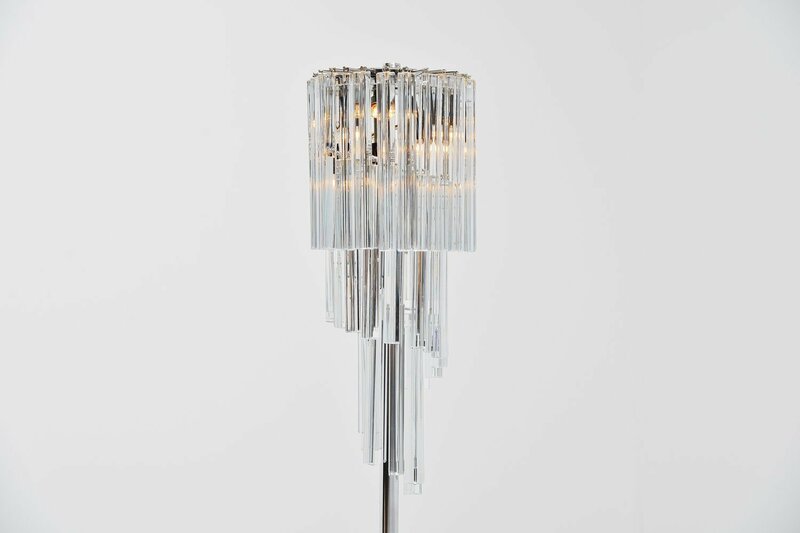 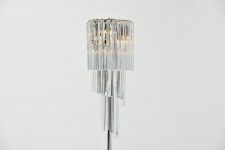 This floor lamp has a chrome plated base and the shade excists of 50 glass Asta Triangolo pipes. 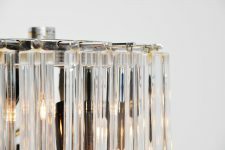 The glass parts are in very good condition, maybe one or two of these have a very small hard to see chip but nothing serious. 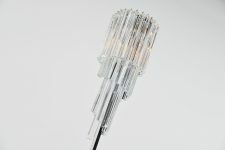 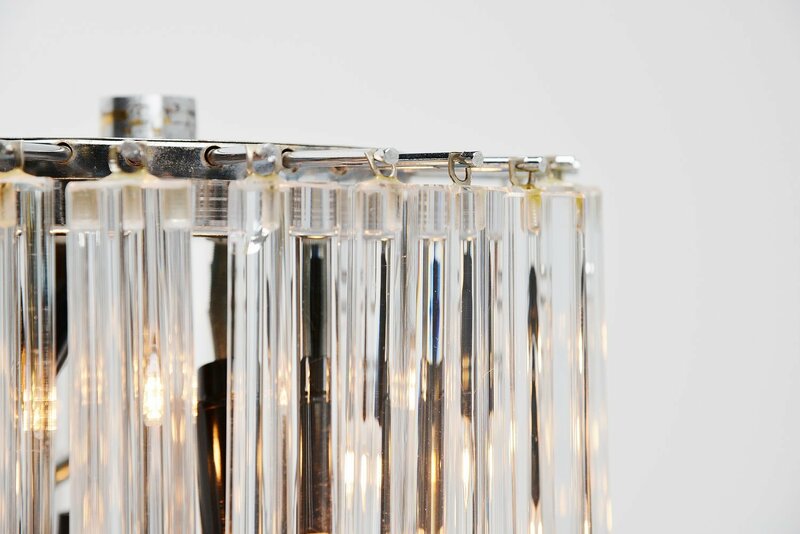 The lamp gives very nice light when lit because of the crystal glass pipes, the diffuse the light very nicely.